As a consequence of our whereabouts never being certain, when we moved to Abbotsford, daddy decided to rent. Buying a house and then leaving and having to sell a few months later wouldn’t make any sense. It turned out to be a good thing because here we are, a year later packing our boxes up again. Speaking of boxes, you’d probably guess we’ve become pros at reducing things to minimal space and packing just the necessary. But we’re not. We’re hoarders. One of the things we’ve been holding on to for way too long, is VHS tapes. 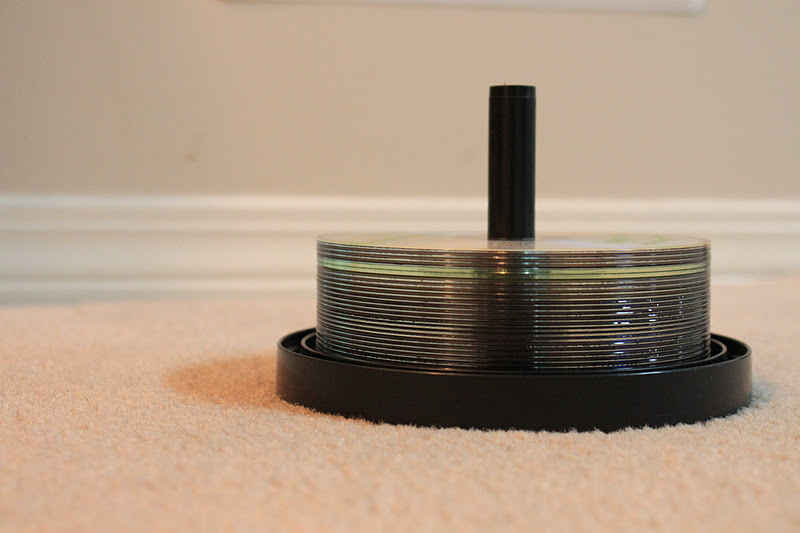 It’s sort of depressing to think, that my kids will not experience VHS tapes, bulky VCR’s, fat screens versus flat screens, or boxes full of hefty VHS tapes. We brought over from our old house, an impressively large box full of these dinosaurs. Home videos, nature videos, national geographic collections, etc. Last week, however, daddy decided to diminish that box into a package of DVD’s. 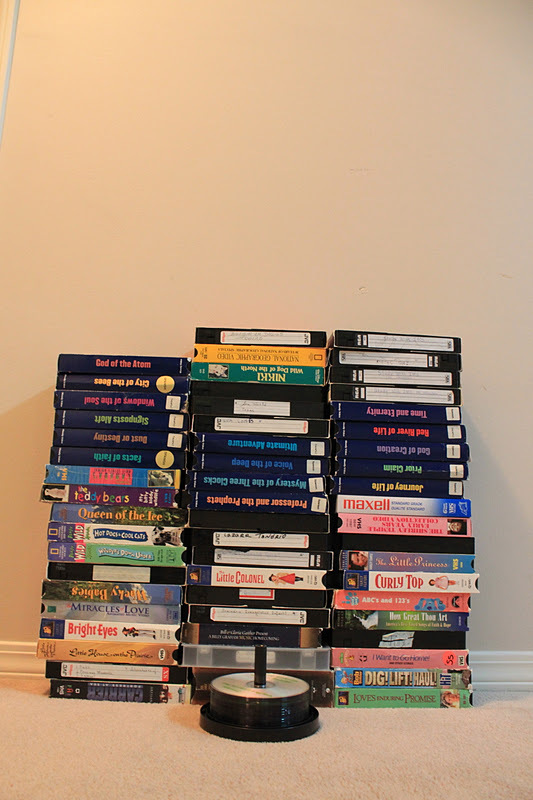 Our Shirley Temple collection, all our home videos, and all our nature videos, are being turned into DVD’s. Now. Which do you think is easier to pack away and move with? We’re disposing of the VHS, and taking the DVD pack with us. Please don’t tell me I need to upgrade to Blue-Ray. I know, DVD’s are going to become extinct. But for now, this is progress! Are you decluttering (apparently this isn’t a word) this winter? Do you hang on to VHS tapes too? Previous Article Holiday Shopping. Yikes. cdnkaro – Haha .. my dad isn't the only one then who says things like that? “Leave those quilts, we can replace them later.” or “You can leave these books here and get new ones you haven't read there.” Which, sometimes as in your case, doesn't happen. I am proud to say I have no VHS! I do have dvds and cds but haven't bought anything new for 2 years. I don't plan to buy either, I have more than enough to keep me occupied with cable, netflix, itunes, pandora & slacker. I've downsized my living space in the past few years and I'm really committed to making it work. Very few new books too…ebook and library as much as possible. Happy moving…I know, is such a thing possible?